Monumental masons and craftsmen. Specialists in stone design, construction and installation. The headstone inscription on the gravestone or memorial of your loved one not only provides details of their life and achievements, it honours their contribution to the family and the community. When prepared well, an inscription can last up to 50 years without requiring any maintenance. There are a number of things to consider when choosing the design of a gravestone or memorial and the wording for an inscription. Your family plot may provide for future burials. When designing the inscription for your loved one's gravestone or memorial, you need to determine how many burials the monument is catering for. This determines how the inscription and artwork is laid out on the gravestone or memorial. The inscription layout is also determined by the size and style of font, whether you wish to include religious artwork, emblems, flags, or motives and if you want to include photographs. At Advanced Stone we take the time to consult with you on the design of your family monument. We sit with you, note down your ideas and offer considered advice on the style of gravestone or memorial and the inscription. Using the information from this discussion, combined with our experience and extensive catalogue, we generate a computerised drawing. This provides you with an instant visual of the finished monument. We give you a copy of the draft so that you can show other family members. Making choices about the design of a gravestone or memorial and the layout of the inscription can be difficult at a time when you are feeling great loss. Advanced Stone helps you through this process with sensitivity, honesty and a genuine desire to achieve the best result for you and your family's future generations. You can take comfort knowing that you have arranged something special and meaningful that truly honours your loved one. Inscriptions are usually rendered in a Serif font such as Times New Roman or Century Schoolbook at a letter size of around 20mm for body text and 40mm for names. Small text (less than 10mm) does not render well and in some cases depending on the stone can become illegible. Put simply, the smaller the text, the finer the grade of stone required for it to stay legible. Since the advent of desktop publishing the variety of fonts available today are in the tens of thousands and most can be used for an inscription. 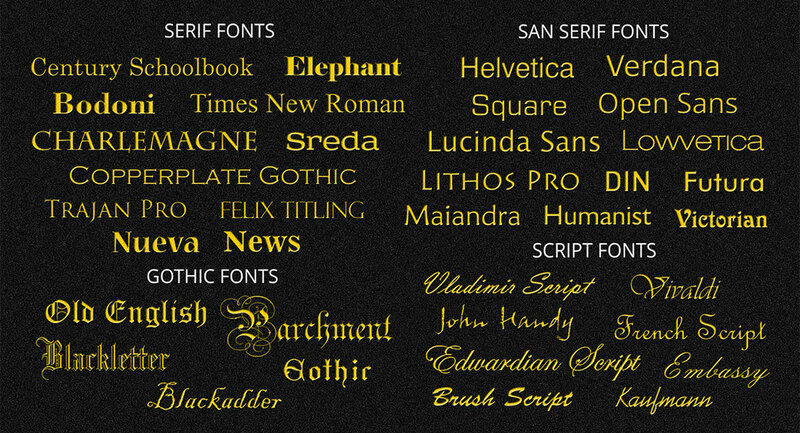 Advanced Stone has a extensive library of fonts in all languages to choose from. However, if we don't have the perfect typeface for you there are numerous online resources that we can draw on to make your inscription unique. 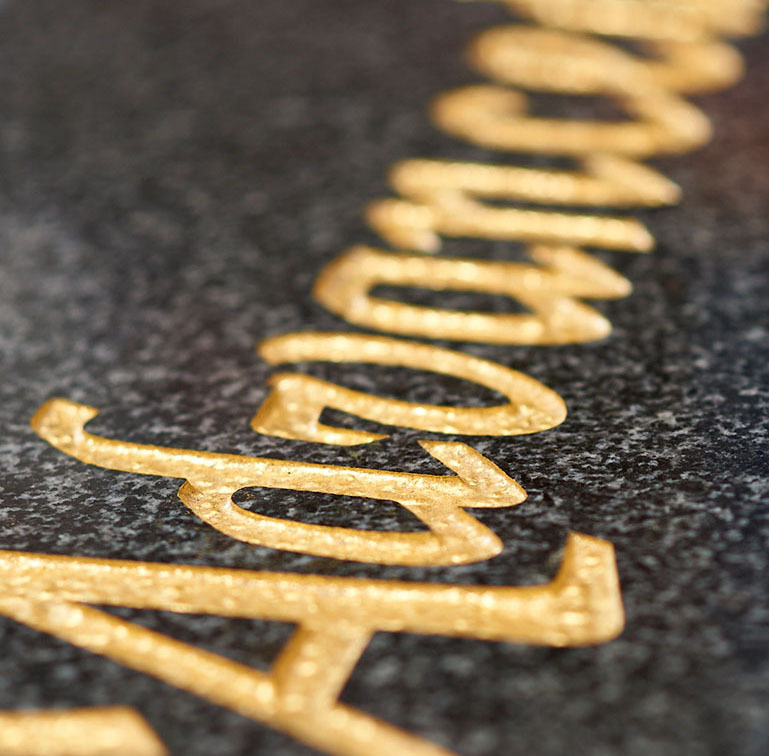 Most memorial artwork is monochromatic and is sandblasted and gilded with gold leaf, however custom designs can be etched and hand coloured to suit the clients needs. 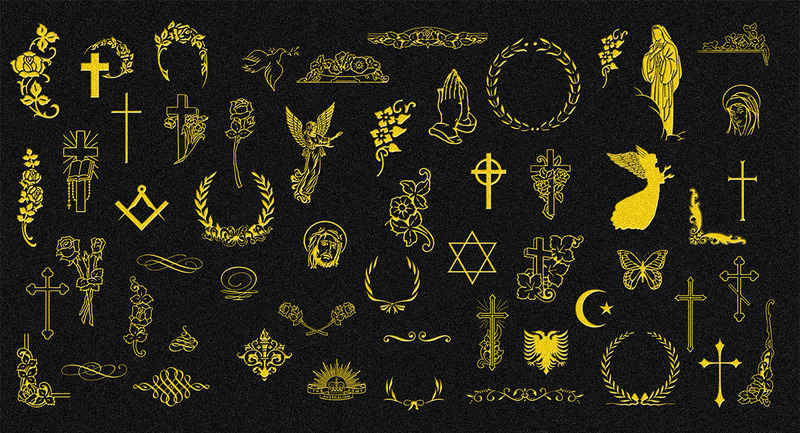 Nearly all clipart can be modified to suit engraving and Advanced Stone has an extensive library of religious clipart available to our customers suitable for all denominations. Any custom imagery would need to be converted to line art before it can be engraved into the stone. This process can be extremely time consuming and is wholly dependent on the complexity of the image. 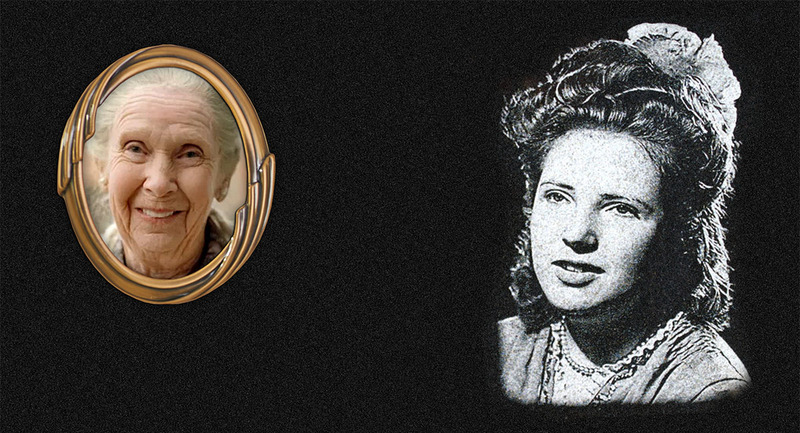 Photographs can be added to a memorial in a number of ways, the most common approach is the production of a ceramic print (either colour or black and white) that is mounted with or without a frame directly onto the headstone. Alternatively photographs can the etched directly into the face of the stone using either laser or waterjet technologies. The resulting image looks similar to a black and white photograph, but for best results this must be done on very dark and fine grained stone. Otherwise a monochromatic version of the photograph can be produced and that can be sandblasted and gilded or painted as required.